One of the things I love most about the e-bike is that it makes the perfect form of transportation for photography. And the proof of that is that two out of the 12 pictures I’ll soon be showing in an exhibition were taken while riding. 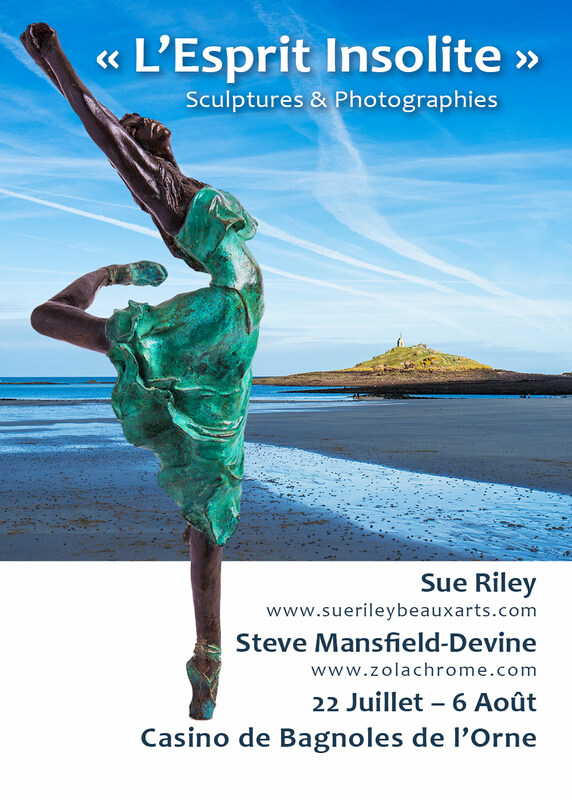 From 22nd July to 6 Aug I’ll be exhibiting a dozen large prints (printed on fabric and measuring 120x80cm) at a joint show with my friend, the sculptor Sue Riley. The show – L’Esprit Insolite (which roughly translates as ‘the exceptional spirit’) – is being held at the Casino in Bagnoles de l’Orne, a charming spa town in the Orne department of Normandy. As a photographer, I have a number of landscape projects in progress. In fact, I have one that focuses specifically on our local voies vertes, or greenways. And many of these pictures have been taken while cycling. So why is a bike so perfect for the landscape photographer? It comes down to being the perfect compromise. Like walking, cycling lets you experience the environment you’re moving through. You have time to take it in and understand it. You’re moving slowly enough that you don’t miss potential photographs. And it’s easy to stop, instantly, when the opportunity for a shot presents itself. But a bike also offers benefits you might more commonly associate with driving. You can move fast enough and far enough to ensure a variety of scenes and subjects. And with paniers, you don’t have to worry much about the amount of gear you carry – there’s no need to leave that heavy lens or tripod at home, as you might when walking. The e-bike, of course, amplifies these benefits enormously by taking much of the effort out of the equation. You can travel further and for longer than you might be inclined to do with electric assist. And it takes much longer before you get to that ‘too tired to stop and get off the bike’ feeling. The picture above was shot while travelling along the Véloscénie voie verte. It’s on a stretch of the greenway that runs from our local town of Domfront 70-odd kilometres to Mont St Michel. This particular wood is near the village of St-Cyr, in the Manche department. I’ve photographed it many times because the trees seem, to me, to have a monumental aspect, like rows of standing stones. The other shot taken while cycling was found just down the road from our house, in the Orne. It’s of maize caught in the light of a summer afternoon. The trees are cherries (and heavy with fruit as a write this). It feels very typical of this area of Normandy. I have a hunch that in the future a larger and larger proportion of my photographic work is going to be produced while riding. After all, photography and cycling are my two favourite activities. What could be better than combining them?